This small, traditional hotel with a personal atmosphere is located in the western part of Vienna and offers ideal connections to the public transport system. Family-run for several generations, Hotel-Restaurant Fritz Matauschek is directly opposite the Hütteldorfer Straße underground stop (line U3). From there you can get to the Westbahnhof (Western Train Station) and the Mariahilfer Straße, Vienna’s biggest shopping street, in only 5 minutes. The city centre is only 10 minutes away on the direct underground connection. You can reach Schönbrunn Palace in 10 minutes by tram. 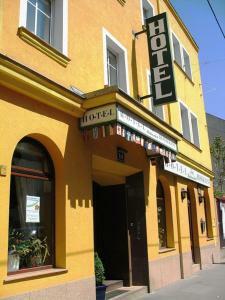 Hotel Fritz Matauschek has a traditional restaurant serving traditional Viennese and Austrian cuisine.